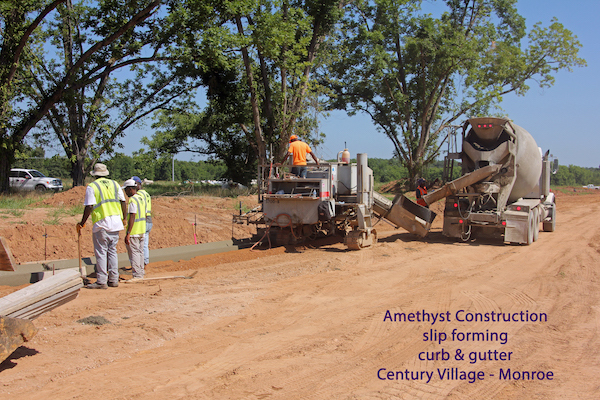 Amethyst Construction, Inc. constructs the majority of the subdivisions in northeast Louisiana. Based in West Monroe, we work with the property owner, developer, or engineer for the conception of the project, including planning, site selection, engineering, and total construction. Our many years of experience in this field allows us to assist the owner in deciding what type of subdivision to build, lot size selections, street types, and marketing strategies. Amethyst joins many developers to joint venture a development, offering partnering and financial options to insure the success of each project. If you are considering subdividing your property, please allow us the opportunity for a free visit to discuss how to maximize the value you receive for you finished development.